People are busy making a fuss about 4K resolution aka UltraHD, but when it comes to 1080p Blu Ray HD content, it simply doesn’t age. Some technologies are fun at first but fade. When it comes to high definition movies and television, I think it always dazzles. 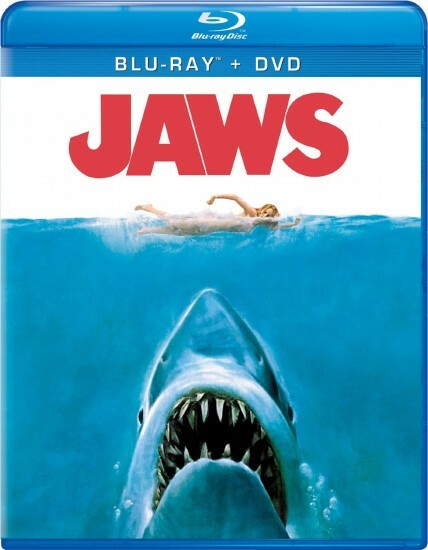 Let’s take a look at Jaws on Blu Ray. This is a movie review first and foremost, but I also want to spur readers into considering watching or buying this classic movie in the Blu Ray format. I know there are some people who missed the boat when it comes to Jaws. I’m not too embarrassed to admit that I did not watch Jaws until recently. I completely missed this boat! The funny aspect is that it was on TV and I started watching at a point, let’s say 3/4 through the movie and I was absolutely drawn in. It meant sitting through a LOT of commercials which is something I never do. As a result, I got the Blu Ray version of Jaws and watched it in its entirety. In fact, I’ve watched it a couple times already! There really isn’t anything about Jaws that would be considered weak or disappointing. It’s as close to flawless as you can get. Consider the props used in the movie and that in today’s world, they still stand up to the test of time. There isn’t anything that’s ultra phoney or laughable. That’s an achievement unto itself. Classic movies can stand the test of time. Jaws will frighten you. It will jar you. Most of all, it will excite you. The story is air tight and draws you in. The acting is first class. The flow of the story is excellent and there aren’t gaps in the movie where you’re hoping for something dramatic to happen. The jarring suspense and tension is something to behold. It’s edgy. The fact is few movies can come close to hitting on all emotions like Jaws does to the audience. So how is a high definition classic movie? Does Blu Ray serve Jaws well? For certain it does. In fact it’s reason enough to watch the movie again if it has been a long while since you last watched it. I can only rave about Jaws so much. Most people get it (the raving) but for those who missed the boat on this movie, the time is now. It has gore, no question about it. However, if you want a movie that will stir you, this is it. It’s brilliant. It’s a masterpiece.